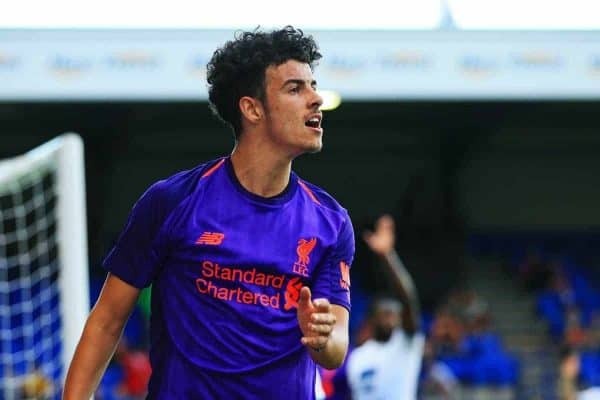 A report has suggested interest from abroad in Liverpool starlet Curtis Jones, as part of the wider context around young talent in the Premier League. The Reds, and other Premier League teams, signing youngsters from abroad is nothing new. Danish goalkeeper Martin Hansen became the first foreign addition to the Academy back under the Rafa Benitez regime, but it has become extremely commonplace since then. 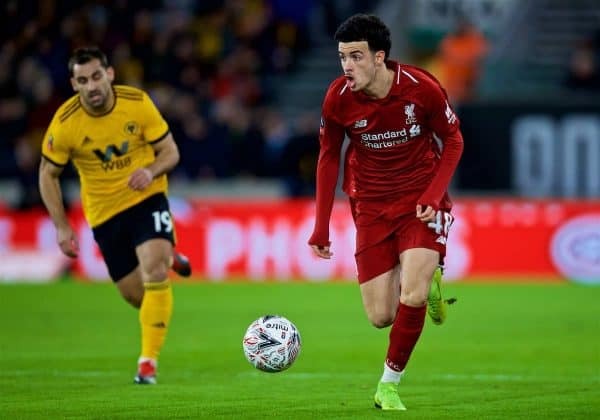 Indeed, two debutants in the FA Cup last week against Wolves were signed from outside of England in Ki-Jana Hoever and Rafa Camacho, while the third, Jones himself, is a home-grown and -trained Scouser. But of late, the tables have been turned: with British talent seemingly not getting much of a look-in, European clubs are starting to lure them away early with the promise of senior action, reports Miguel Delaney, chief football writer of the Independent. 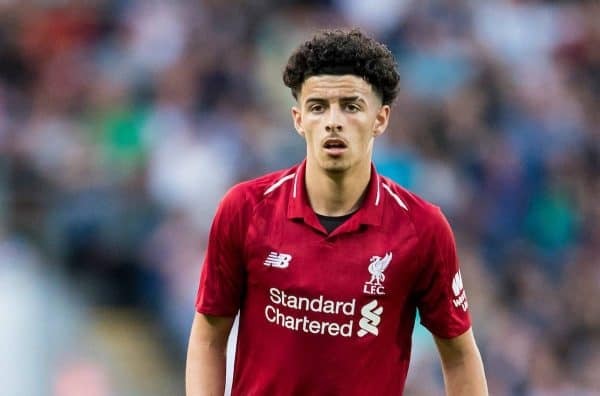 Delaney specifically cites Jones as being one of several Academy hopefuls around the Premier League as “generating serious Bundesliga interest” by unspecified teams, following the high-profile success of Jadon Sancho’s move from Man City to Borussia Dortmund. Other players have earned game time on loan in the Bundesliga—Ademola Lookman, Reece Oxford and Reiss Nelson are good examples—and Chelsea‘s Callum Hudson-Odoi is expected to follow suit with a summer move to Bayern Munich. Liverpool might have given Jones his debut, but the 17-year-old will be hungry for more action as he proves his talent. Turning 18 only at the end of January means time remains on his side—but that’s the same as Sancho, who is proving that talent, not age, is the defining factor in how successful a young player can be. Liverpool have already had to fend off interest from the Bundesliga for young talent, of course. 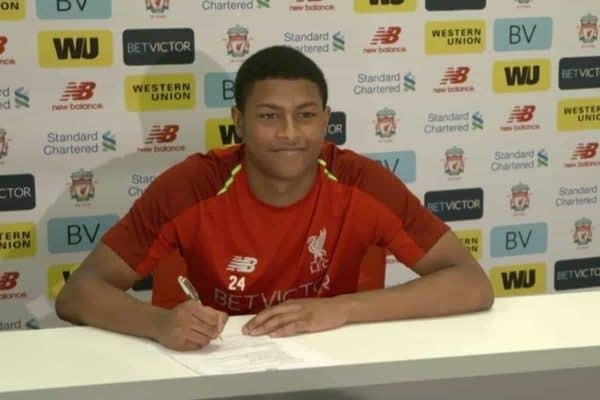 Only this past summer, Rhian Brewster‘s future was undecided and Borussia Moenchengladbach made aggressive moves to ensure it was with them. Thankfully, the striker renewed with the Reds and remains on the comeback trail after injury—but it’s clear that his progress at the club will determine how long he remains a red. More than ever, that determination is being made by British youngsters themselves, not just the clubs they belong to. Previously they might have been loaned out until their early 20s, given longer contracts in the hope they’d either become reliable enough to play a squad role or else sold on for profit to reinvest in ‘ready-made’ signings from elsewhere. No longer does that seem to be the case. Delaney’s article carries a quote from a parent of a starlet who is being watched by German teams, and it provides at the very least food for thought given the ability in the Reds’ youth ranks. Often it only takes the first player to make a move, show that a career path can be different, and others will follow suit. Jones et al might be given the breakthrough in the domestic cups, but for how long will that suffice? Of course, the seniors being in such commanding and consistent form offers a measure of restraint to any suggestions that talented teens be thrown straight into the lineup. But they still need a reasonable and realistic opportunity to prove they can swim with the regulars. The ideal, and indeed only, way to keep the best young talent at the club is by providing a pathway for them to succeed on. Jurgen Klopp, along with the likes of Academy director Alex Inglethorpe and U23s boss Neil Critchley, appear to be doing just that. Then it’s up to the players to take their chance when given one. In the meantime, the best young players remain as coveted as ever—but now it’s by clubs both near and far.